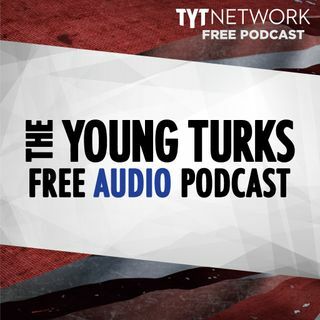 A portion of our Young Turks Main Show from January 25rd, 2018. For more go to http://www.tytnetwork.com/join. Cenk. Those hoping for another chance to “Feel the Bern” in 2020 could have good reason to be optimistic about Bernie Sanders’s odds of running for the presidency. While speculation has been rampant — and the Vermont senator has never ruled out the possibility of another go at the country’s top office when asked — there’s yet been no official word on what a campaign would actually look ... See More like. Until Saturday, that is, when a meeting between Sanders and his top political advisers explicitly discussed the possibility. Donald Trump told reporters on Wednesday that he would talk to special counsel Robert Mueller under oath and looks forward to the opportunity, but that he will listen to the advice of his lawyers. The FBI is investigating whether a top Russian banker with ties to the Kremlin illegally funneled money to the National Rifle Association to help Donald Trump win the presidency. Alex Jones says Trump calls him all the time. Claims there will be a coup and arresting FBI agents. Ron Johnson on FBI secret society texts.